As previously announced, Welltower acquired a 100 percent interest in the 23-property Hammes Medical Office Portfolio for $391 million. TOLEDO, Ohio, Feb. 12, 2019 /PRNewswire/ — Welltower Inc. (NYSE: WELL) today announced results for the quarter ended December 31, 2018. For the quarter, we generated net income attributable to common stockholders of $0.27 per share and normalized FFO attributable to common stockholders of $1.01 per share. For the year, we generated net income attributable to common stockholders of $2.02 per share and normalized FFO attributable to common stockholders of $4.03 per share. The company also announced that previously disclosed 2019 net income attributable to common stockholders guidance has been increased to a range of $2.70 to $2.85 per share, while reaffirming our previously announced 2019 normalized FFO attributable to common stockholders of $4.10 to $4.25 per share. Capital Activity On December 31, 2018, we had $215 million of cash and cash equivalents and $1.9 billion of available borrowing capacity under the primary unsecured credit facility. During the fourth quarter, we generated approximately $552 million under our dividend reinvestment program and equity shelf program at an average price of $68.41 per share. Subsequent to quarter-end, we generated an additional $195 million of equity capital under our dividend reinvestment program and equity shelf program at an average price of $73.97. Dividend The Board of Directors declared a cash dividend for the quarter ended December 31, 2018 of $0.87 per share. On February 28, 2019, we will pay our 191st consecutive quarterly cash dividend to stockholders of record on February 22, 2019. The Board of Directors also approved a 2019 quarterly cash dividend rate of $0.87 per share ($3.48 per share annually) commencing with the February 2019 dividend payment. The Board of Directors also declared a quarterly cash dividend on the Series I Cumulative Convertible Perpetual Preferred Stock of $0.8125 per share, payable on April 15, 2019 to stockholders of record on March 31, 2019. The declaration and payment of future quarterly dividends remains subject to review and approval by the Board of Directors. Quarterly Investment and Disposition Activity We completed $722 million of pro rata gross investments for the quarter including $559 million in acquisitions, $92 million in development funding and $70 million in land acquisitions. Acquisitions were comprised of four separate transactions at a blended yield of 5.6%. The development fundings are expected to yield 7.5% upon stabilization. Also during the quarter, we completed dispositions of $394 million consisting of the sale of $239 million of non-yielding properties acquired in the QCP acquisition, other property sales of $110 million at a blended yield on proceeds of 6.7% and loan payoffs of $46 million at an average yield of 7.1%. Hammes As previously announced, we acquired a 100% interest in a 23 property, Class-A medical office portfolio for $391 million which represents a year one cap rate of 5.6%. The portfolio has an average age of 10 years and totals 979,421 rentable square feet across 12 major metropolitan markets. 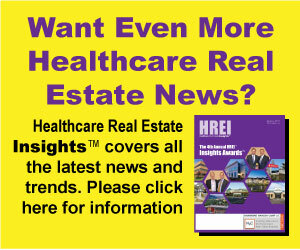 The properties are 94% occupied with 96% of the portfolio affiliated with health systems. Medical Pavilion at Howard County General Hospital As previously announced, we acquired a 100% interest in an outpatient medical building located on the campus of Johns Hopkins Howard County General Hospital in Columbia, Maryland for $79 million, which represents a year one cap rate of 4.9%. The 160,190 square foot property is 100% leased and sits adjacent to a 56,000 square foot Welltower-owned property on the same campus. With this acquisition, Johns Hopkins is the principal tenant in four of our properties totaling 371,000 square feet, inclusive of the Knoll North Campus a 30 acre complex we acquired in 2015. StoryPoint We expanded our relationship with StoryPoint through the formation of a new RIDEA joint venture. The initial transaction to seed the 90/10 RIDEA JV was the acquisition of a 199-unit private-pay combination IL/AL/MC community located in the Columbus, OH MSA. The total investment amount based upon 100% ownership interest was $82 million and has a projected stabilized yield of 6.0%. Since closing our initial acquisition in 2010, we have completed $227 millionof follow-on pro rata investments with StoryPoint. US Oncology We acquired an outpatient medical building in San Antonio, TX for $15 million, which represents a projected year one cap rate of 5.7%. The property is 38,237 rentable square feet and was built in 2017. The building is 100% leased by Texas Oncology, a member of US Oncology. US Oncology leases over 175,000 square feet in our properties. Atrium Health MOBs We closed on the construction loans related to two state-of-the-art “Class A+” medical office buildings under development in Charlotte, North Carolina to be delivered in mid 2020. 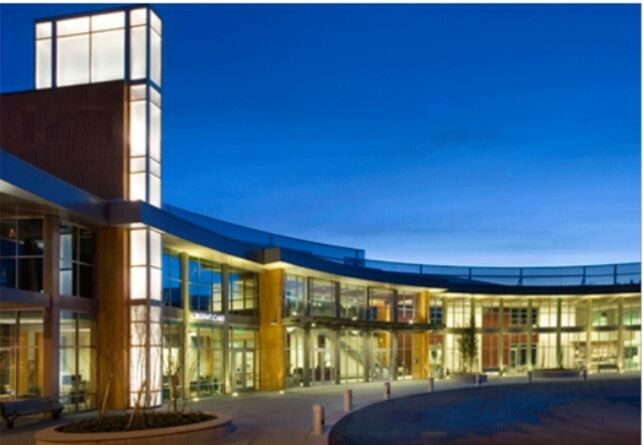 Both buildings are 100% master-leased to Atrium Health (Moody’s: Aa3) for 15 years. This project is part of a 5.5-acre multi-phase health care anchored mixed-use development located next to Atrium Health’s flagship Carolinas Medical Center campus. Once completed, these assets will house integrated specialty clinical practices for Atrium Health including the Sanger Heart and Vascular Institute. As part of this transaction, we will form a joint venture with the highly reputable Southeast developer, Pappas Properties and will acquire a 75% ownership in the properties upon completion. QCP Non-Yielding and Non-Core During the fourth quarter, we completed the disposition of 40 non-yielding held-for-sale properties and 1 non-core held-for-sale property acquired in conjunction with the QCP transaction. We realized sales proceeds of $264 million in conjunction with the disposals and recognized a gain on sale of $37 million. Brandywine As a part of the Brandywine RIDEA conversion, we completed the disposition of two assisted living communities. The gross purchase price based upon 100% ownership interest was $33.5 million. Kindred We completed the disposition of one long-term/post-acute facility for $9 million. We realized a gain on sale of $2 million and the sale represents an unlevered IRR of 8.8%. Genesis In connection with its operational re-balancing, Genesis sold all of its assets and operations in the state of Texas and used part of the proceeds to pay down $14 million of outstanding loan obligations to us. Additionally, as part of that transaction, we sold our Richardson, Texas property for $16 million. Heritage Enterprises We completed the disposition of a combination AL / post-acute property for $16 million which represents a 9.9% cap rate on in-place rent. Adventist We completed the disposition of two Outpatient Medical properties for $11 million which represents an 8.3% cap rate on in-place rent. We realized a gain on the sale of $4 million. Same Store NOI: We continue to expect average blended SSNOI growth of approximately 1.25%-2.25% in 2019. General and administrative expenses: We anticipate annual general and administrative expenses of approximately $130 million to $135 million, including $26 million of stock-based compensation. Acquisitions: 2019 earnings guidance includes any acquisitions closed or announced year to date. Development: We anticipate funding development of approximately $385 million in 2019 relating to projects underway on December 31, 2018. Dispositions: We anticipate disposition proceeds of approximately $1.4 billion at a blended yield of 6.2% in 2019. Our guidance does not include any additional investments, dispositions or capital transactions beyond those we have announced, nor any other expenses, impairments, unanticipated additions to the loan loss reserve or other additional normalizing items. Please see the exhibits for a reconciliation of the outlook for net income available to common stockholders to normalized FFO attributable to common stockholders. We will provide additional detail regarding our 2019 outlook and assumptions on the fourth quarter 2018 conference call. Conference Call Information We have scheduled a conference call on Tuesday, February 12, 2019 at 10:00 a.m. Eastern Time to discuss our fourth quarter 2018 results, industry trends, portfolio performance and outlook for 2019. Telephone access will be available by dialing 888-346-2469 or 706-758-4923 (international). For those unable to listen to the call live, a taped rebroadcast will be available beginning two hours after completion of the call through February 26, 2019. To access the rebroadcast, dial 855-859-2056 or 404-537-3406 (international). The conference ID number is 4369176. To participate in the webcast, log on to www.welltower.com 15 minutes before the call to download the necessary software. Replays will be available for 90 days. Supplemental Reporting Measures We believe that net income and net income attributable to common stockholders (NICS), as defined by U.S. generally accepted accounting principles (U.S. GAAP), are the most appropriate earnings measurements. However, we consider funds from operations (FFO), net operating income (NOI) and same store NOI (SSNOI) to be useful supplemental measures of our operating performance. These supplemental measures are disclosed on our pro rata ownership basis. Pro rata amounts are derived by reducing consolidated amounts for minority partners’ noncontrolling ownership interests and adding our minority ownership share of unconsolidated amounts. We do not control unconsolidated investments. While we consider pro rata disclosures useful, they may not accurately depict the legal and economic implications of our joint venture arrangements and should be used with caution. Historical cost accounting for real estate assets in accordance with U.S. GAAP implicitly assumes that the value of real estate assets diminishes predictably over time as evidenced by the provision for depreciation. However, since real estate values have historically risen or fallen with market conditions, many industry investors and analysts have considered presentations of operating results for real estate companies that use historical cost accounting to be insufficient. In response, the National Association of Real Estate Investment Trusts (NAREIT) created FFO as a supplemental measure of operating performance for REITs that excludes historical cost depreciation from net income. FFO attributable to common stockholders, as defined by NAREIT, means net income attributable to common stockholders, computed in accordance with U.S. GAAP, excluding gains (or losses) from sales of real estate and impairments of depreciable assets, plus real estate depreciation and amortization, and after adjustments for unconsolidated entities and noncontrolling interests. Normalized FFO attributable to common stockholders represents FFO attributable to common stockholders adjusted for certain items detailed in Exhibit 2. We believe that normalized FFO attributable to common stockholders is a useful supplemental measure of operating performance because investors and equity analysts may use this measure to compare the operating performance of the company between periods or as compared to other REITs or other companies on a consistent basis without having to account for differences caused by unanticipated and/or incalculable items. We define NOI as total revenues, including tenant reimbursements, less property operating expenses. Property operating expenses represent costs associated with managing, maintaining and servicing tenants for our seniors housing operating and outpatient medical properties. These expenses include, but are not limited to, property-related payroll and benefits, property management fees paid to operators, marketing, housekeeping, food service, maintenance, utilities, property taxes and insurance. General and administrative expenses represent costs unrelated to property operations or transaction costs. These expenses include, but are not limited to, payroll and benefits, professional services, office expenses and depreciation of corporate fixed assets. SSNOI is used to evaluate the operating performance of our properties using a consistent population which controls for changes in the composition of our portfolio. As used herein, same store is generally defined as those revenue-generating properties in the portfolio for the relevant year-over-year reporting periods. Land parcels, loans, and sub-leases as well as any properties acquired, developed/redeveloped (including major refurbishments where 20% or more of units are simultaneously taken out of commission for 30 days or more), sold or classified as held for sale during that period are excluded from the same store amounts. Properties undergoing operator transitions and/or segment transitions (except triple-net to seniors housing operating with the same operator) are also excluded from the same store amounts. Normalizers include adjustments that in management’s opinion are appropriate in considering SSNOI, a supplemental, non-GAAP performance measure. None of these adjustments, which may increase or decrease SSNOI, are reflected in the company’s financial statements prepared in accordance with U.S. GAAP. Significant normalizers (defined as any that individually exceeds 0.50% of SSNOI growth per property type) are separately disclosed and explained. We believe NOI and SSNOI provide investors relevant and useful information because they measure the operating performance of our properties at the property level on an unleveraged basis. We use NOI and SSNOI to make decisions about resource allocations and to assess the property level performance of our properties. No reconciliation of the forecasted range for SSNOI on a combined or segment basis is included in this release because we are unable to quantify certain amounts that would be required to be included in the comparable GAAP financial measure without unreasonable efforts, and we believe such reconciliation would imply a degree of precision that could be confusing or misleading to investors. Our supplemental reporting measures and similarly entitled financial measures are widely used by investors, equity and debt analysts and ratings agencies in the valuation, comparison, rating and investment recommendations of companies. Our management uses these financial measures to facilitate internal and external comparisons to historical operating results and in making operating decisions. Additionally, they are utilized by the Board of Directors to evaluate management. The supplemental reporting measures do not represent net income or cash flow provided from operating activities as determined in accordance with U.S. GAAP and should not be considered as alternative measures of profitability or liquidity. Finally, the supplemental reporting measures, as defined by us, may not be comparable to similarly entitled items reported by other real estate investment trusts or other companies. Please see the exhibits for reconciliations of supplemental reporting measures and the supplemental information package for the quarter ended December 31, 2018, which is available on the company’s website (www.welltower.com), for information and reconciliations of additional supplemental reporting measures. Note : (1) Amounts presented net of noncontrolling interests’ share and Welltower’s share of unconsolidated entities. (2) Includes estimated gains on projected dispositions. Note : (1) Primarily related to mark-to-market of Genesis HealthCare stock holdings. (2) Primarily related to secured debt extinguishments. (3) Primarily related to non-capitalizable transaction costs. (4) Primarily related to the reversal of a contingent liability related to a prior year acquisition. (5) Primarily related to non-capitalizable transaction costs in joint ventures. Note : (1) Represents noncontrolling interests’ share of net FFO adjustments. (2) Represents Welltower’s share of net FFO adjustments from unconsolidated entities. (4) Amounts presented net of noncontrolling interests’ share and Welltower’s share of unconsolidated entities. (5) Excludes certain severance related stock-based compensation recorded in other expense and normalized incremental stock-based compensation expense (see Exhibit 2). Note : (1) Includes adjustments to reflect consistent property ownership percentages and foreign currency exchange rates for properties in the U.K. and Canada. (2) Includes other adjustments as described in the respective Supplements.